The Parkman Bandstand was built in 1912 from a design by Derby, Robinson & Shephard at a cost of $1 million. 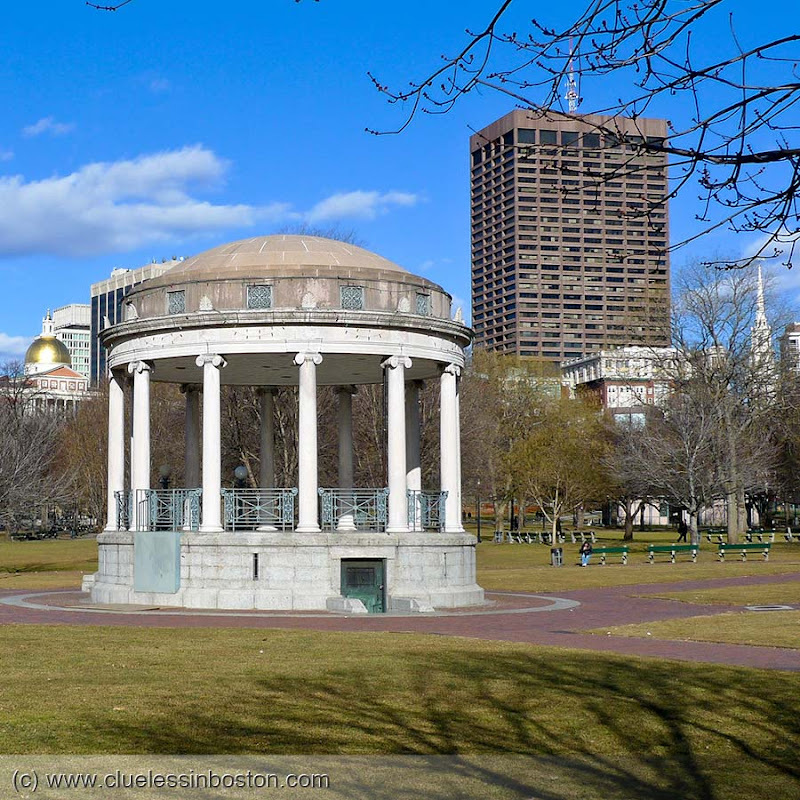 Named for George F. Parkman, the bandstand was constructed following his death in 1908, in honor of a $5 million donation he had willed for the care of the Boston Common and other city parks. Parkman was the son of George Parkman, a doctor who had donated land for Harvard Medical School's first campus a few years before his murder and dismemberment at the hands of Harvard Medical School professor John Webster in 1849. In 1996, the bandstand was restored and is used today for concerts, rallies, and speeches. that's quite the story...has anyone written a book about that? Thanks for the info. Really nice shot. One million. In 1912. Eek. A Million dollars in 1912....thats some price for a bandstand ? Interesting story.